Stately and regal, warm and charming, the Empress celebrates feminine strength in an intricate, decadent design set with copious shimmering diamonds. Prevailing over an angular band of stones, is our Empress; glorious, glimmering and unadulterated, surveying her dominion – a single, breathtaking stone to reign over them all. Modern and chic, she’s also as timeless as the tales that inspired this design. 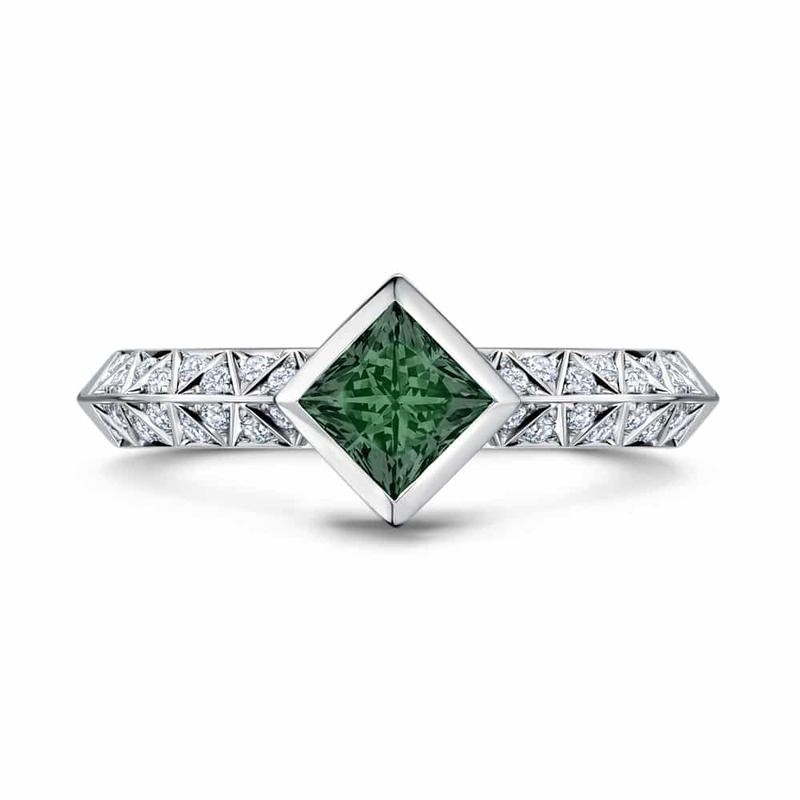 A cool 0.55ct princess cut tourmaline centre set in pristine precious metal. Available in a host of gemstones including diamond, coloured diamond, sapphire and ruby, and in platinum or 18ct white, rose or yellow gold. The Empress is also available to buy with a matching wedding band.